Edinburgh, Scotland,UK. 28 March 2018. 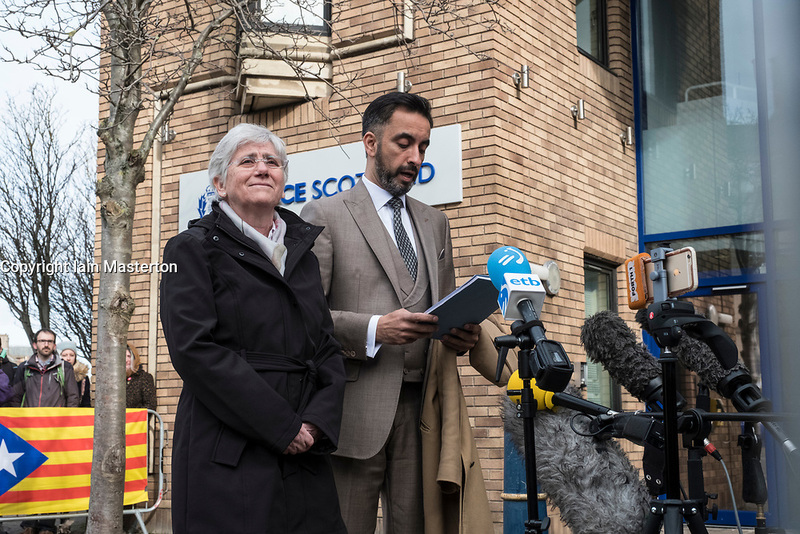 Clara Ponsati Catalonia former Education Minister arrives at St Leonards police station in Edinburgh to hand her herself in under an extradition arrest warrant issued by the Spanish Government. She is accompanied by her lawyer Aamer Anwar.